Chromatic Aberration out on PS Mobile. "I have recently purchased Chromatic Aberration for my PS Vita and just wanted to express my delight in what I consider to be one of the best games for the platform - I completed it in the wee hours of this morning and have subsequently left a 5 star review on the PSN network (I think the only review to date sadly). What an absolutely fascinating, original and highly playable gaming mechanic! I didn't think it would be possible to re-invent the platformer, a genre I have loved since playing Manic Miner in my long distant school days. 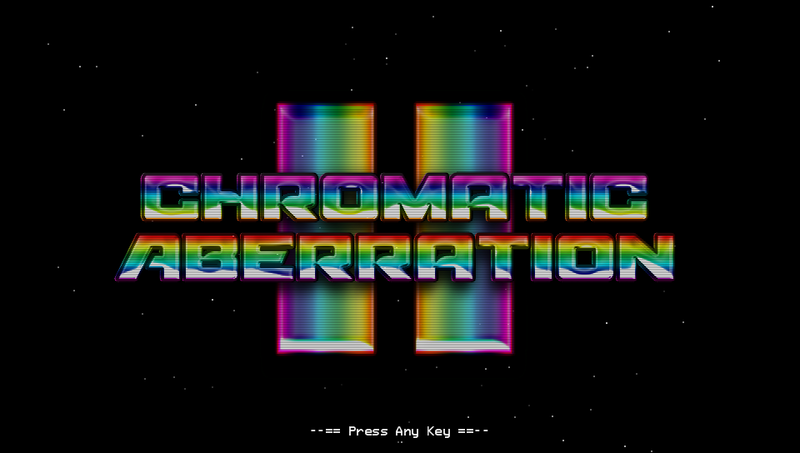 I cannot wait for Chromatic Aberration II and as soon as I see it on the store I will be buying it! Thank you for producing such a fantastic, playable game that I thoroughly enjoyed from start to finish and I look forward to all of your future releases - in fact, I'm sure with Sony's push to embrace indie game development that Chromatic Aberration would be a smash on the PS4 - certainly it would be a day one purchase from my point of view." Lots of things have happened since I last posted - not all of them good, and some of which are at a personal level and shall not be delved into here. Suffice it to say that much like many struggling developers in this economic climate we find ourselves struggling too. Up until January it had been fairly easy to support development of games on the side due to an ongoing lucrative contract, but unfortunately that came to an abrupt and unfortunate end round about that time. Since then we've been managing on savings, and they are close to running out. Still, I'm not one to give up that easily but I also realize that I'm also not a "hit maker". I make games that I want to make - because I want to make them, not necessarily because I think they'll be popular. As such, the three games that we have been working on for the past few months may well have been rewarding to work on, but I sincerely doubt that they will reap any real financial benefit. Two of these games have been previously mentioned in the blog; Chromatic Aberration II and Zen Accumulator. The former is an old-school 80s/90s style platform adventure with some modern touches (i.e. 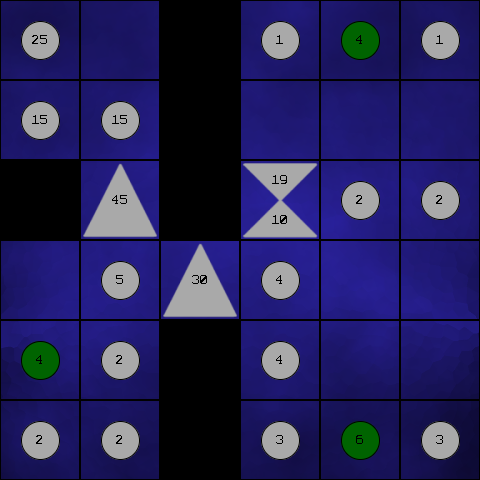 not very marketable), and the latter is a relaxing math-based "brain-training" puzzler (i.e. not very marketable). The third game, which has not been previously mentioned is, I suppose, slightly more marketable, being a frenetic arcade game in which the player takes on the role of a pair of bungling bank robbers making their getaway from a heist in a stolen roadworks truck, making use of the traffic signs they find in the rear bed of the truck to redirect the pursuing police vehicles away from the chase. I've also been giving some thought to resurrecting an updated version of our first game, Creatures & Castles, with a new "Time Trial" gameplay mode and additional levels for the children to adventure into. Originally, this was planned for an update to the iOS version, but I've become somewhat disillusioned with iOS of late. Too much crapware to make a mark in games. (Now, applications are another matter - and that's something I may investigate at a later stage, but for now, no more iOS games, I think). Instead, I find myself considering the following targets: PS Vita (yes, I know it's not doing great right now, but I find it hard to believe Sony will let it languish), 3DS (if I can stomach the cost of a development kit, and the corresponding switch from c# to c++ again), and PC/Mac (simply because most of the games are initially prototyped on PC, so we have a build ready to go at most stages in development). Now, this doesn't mean that we will never target iOS again. I have specifically developed our in-house libraries to be as cross-platform as possible, such that building for iOS should be a simple matter of just changing the target (as well as adding in any boiler-plate setup code and taking into account the different control interface). However, for now, it should be assumed that our primary targets will be those mentioned above, probably starting off with the handheld devices and then releasing the games for PC/Mac shortly thereafter. Obviously for the latter, we'd rather go through Steam - but honestly, I think that's going the way of the iOS store these days. Chances of getting through Greenlight (particularly with the niche nature of the games we make) would be remote to non-existent. In the next month or so, I will decide whether to pull the trigger on the 3DS kit (although it would be nice to get some idea of typical downloadable sales before I do), and delve much deeper into PS Vita development (using the PSM framework). I also have a crazy idea about producing a board game based on Creature & Castles, but I have no idea whether I'll take that any further. Watch this space over the next month or so for more news on these and other things Hiive-related. Oh, and after a long hiatus due to a server crash, our sister site Hiive Books is now back online. Take a look (if you're over the age of 30 and have a hankering for some retro-gaming joy). You'd think that running a company would be all fun and games. I'm the boss. I get to do fun stuff all the time. Yeah, well no. I get to work all the time. If I happen to find it fun, it's a bonus, but sitting up into the small hours banging your head against a brick wall trying to track down annoying little bugs that turn out to be issues with third-party libraries in no way to go through life, son. So anyway; making games is fun. It's just that at some point they have to start paying for themselves. Now, I've already discovered that I'm not very good at predicting what game genres will be a success and what will not (Candy Crush? WTF?) so the only option left open to me is to make a game that I will enjoy playing and hope that others will feel the same way; and preferably enough of them to make the time spent writing the game pay for itself... (Yes, yes, it's all very noble to suffer for your art and all that, but meanwhile, in the real world, people have mortgages, kids and a burning desire to eat and pay bills and all that jazz). So, anyway. Even though the platform game is really a means to an end (the end being a nice set of cross-platform libraries to make future development easier), it still is something I'd like to be proud of at the end of the day. In order to do that, it needs to be a game that I'd want to play. Now, "back in the day" (and I'm talking early 80s here), one of my most-enjoyed style of game was the platform adventure. Games such as Jet Set Willy, Spellbound, Knight Tyme, and Universal Hero combined platforming action with a light story-based 'collect the objects and use them in the right place' type adventure. Nothing too deep, usually, but fun and engaging enough to while away the odd afternoon. There have been some successful modern takes on this class of game, including VVVVVV (on the Jet Set Willy end of the scale) through to Knytt Underground and Cave Story on the Spellbound/Universal Hero end of the scale. So, why not add my own effort? One of the things I enjoyed most about the early games was the exploration and mapping aspect; in Jet Set Willy, for example, each room was named and usually was a good insight into the twisted sense of humour of the programmer (and in the case of Matthew Smith, the author of Jet Set Willy, it was a very twisted place indeed). A bit part of the fun was discovering all of the new rooms and in-jokes. Jet Set Willy was pretty much pure platforming exploration; fun but shallow. Spellbound and Knight Tyme were far more adventure-like, and placed much less of an emphasis on the platforming and much more on the story aspect. So. I got to thinking, why can't a game do both? Well, I'm sure that plenty have and I'm just unaware of them. I'm not going to let that stop me though, which is why I'm ready to announce the title of the new game: Chromatic Aberration II. "Wait a minute!" I hear you exclaim with a bored tone, "Why is it a sequel? What's the first game?" Well, the prequel will be coming out too. We're working on both games simultaneously, but we're starting with the sequel. For those of you familiar with early 80s games, we're aiming for a Manic Miner/Jet Set Willy vibe - only enhanced with up-to-date features from modern game styles such as dynamic lighting. It should be an interesting experiment; lo-fi graphics with modern FX. At worst, it will be a glorious failure. Technically speaking, the gameplay engine is about 75% complete. Most of that which is remaining are for special cases and (for example) extended features, such as the ability for the player to control in-room features via a computer console (e.g. shut down a force field), and things that I'm sure I'll think of when I come across something cool. The other stuff that's remaining to be done is to overhaul the graphics (most of them are currently placeholders and/or ripped from elsewhere) and implement the story/adventure aspect of the game and any other special features that are required, as well as design a whole bunch of new rooms (the first map is shown below). I'm trying to keep it all fairly generic so that I can script the majority of it from text files (which lends itself nicely for a future 'adventure editor' feature). The starting area for the player. Please excuse the 'placeholder' graphics. Currently, it's planned to be released for Windows, but I am doing regular simultaneous builds for OsX, iOS and PlayStation Vita, so if all goes as planned I would expect it to be released for those platforms at some point soon after the initial release. Oh, and lastly, my trainee minion, Josh is still working hard and is coming on leaps and bounds in his programming skills. Here's a screenshot from the prototype I have him working on currently. It may not look much right now, but it's surprisingly fun to play, even at this early stage. I hope to talk more about this next time. It's a puzzle. With numbers.